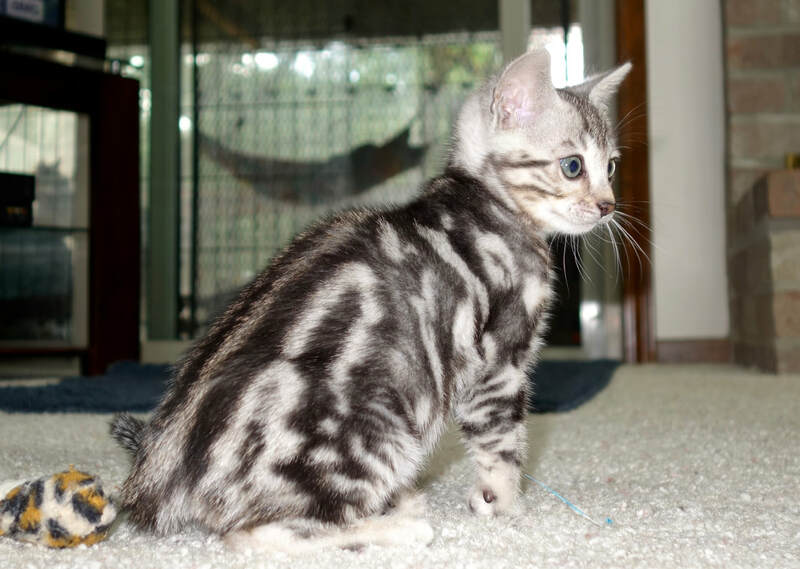 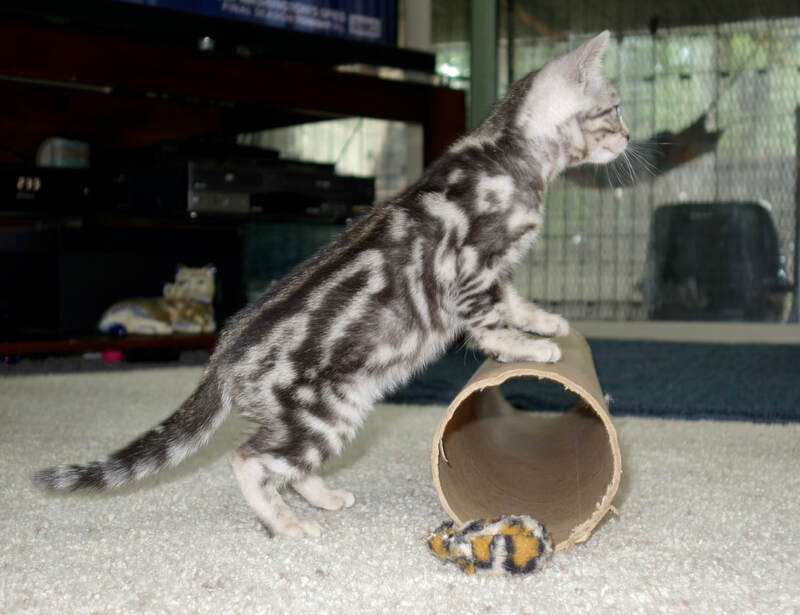 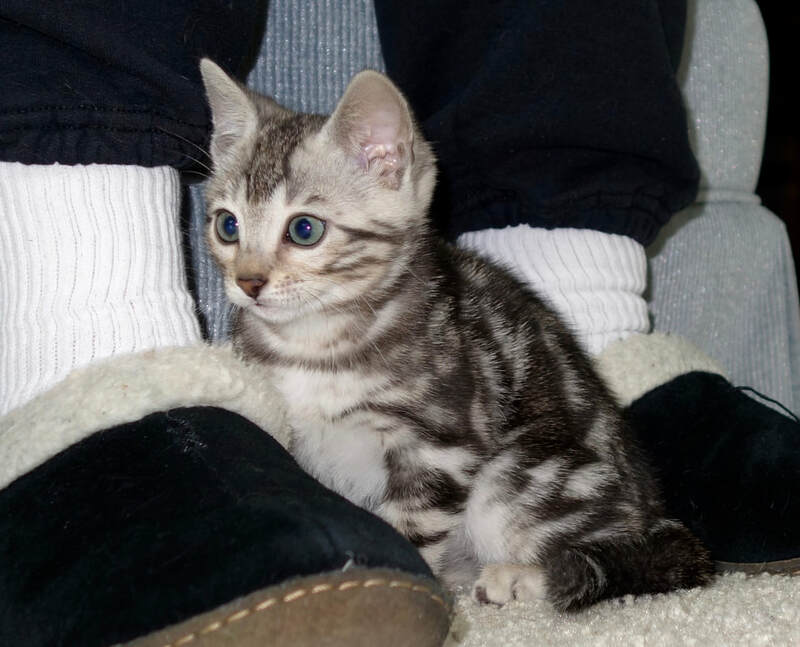 Katzpaw Periscope - Northwest Bengal Cats Beautiful, friendly Bengal Cats and kittens for sale in the Pacific Northwest of Oregon. We absolutely adore Peris, her coat is plush, sleek and beautiful. 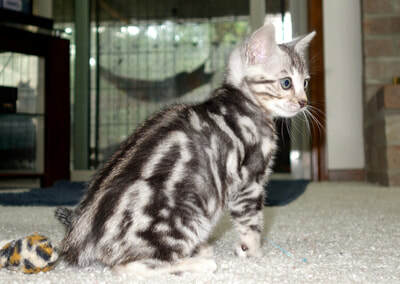 With a lovely diagonal flowing black pattern on a silver background. 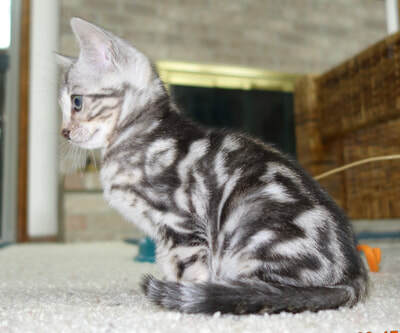 She is smart, loving and athletic in a compact feminine package. 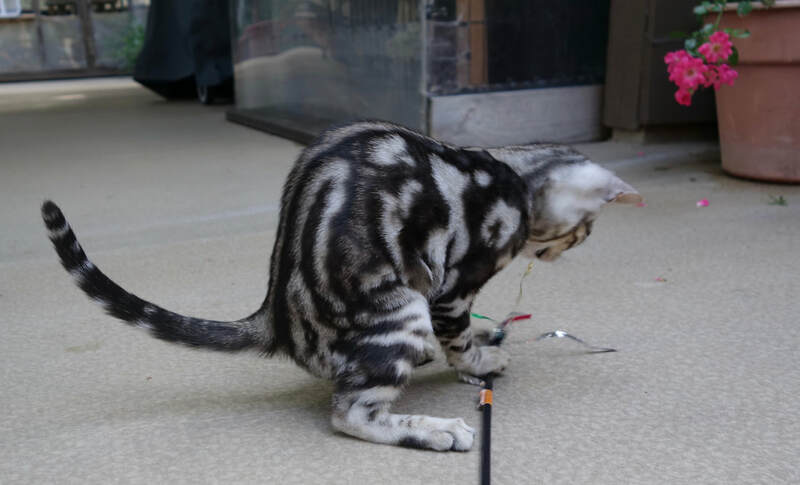 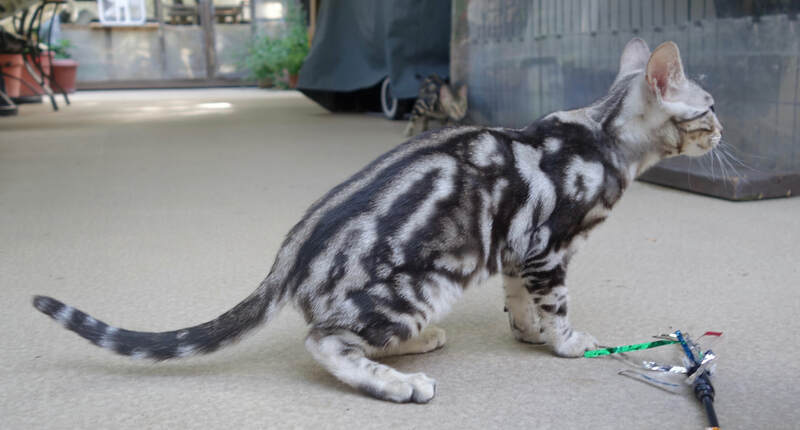 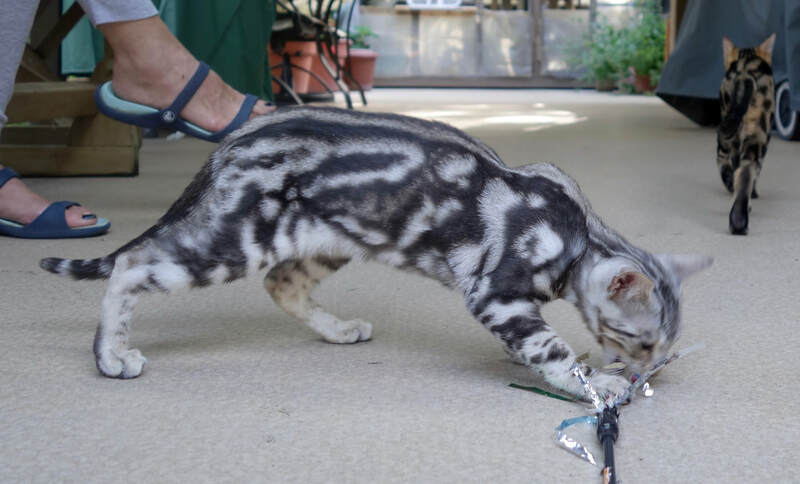 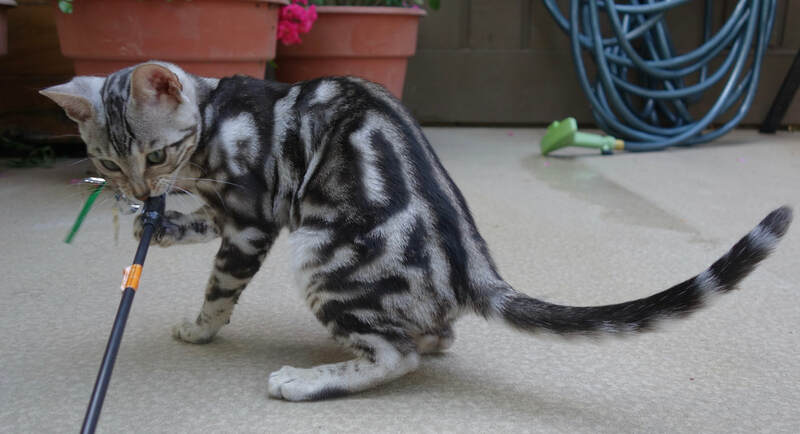 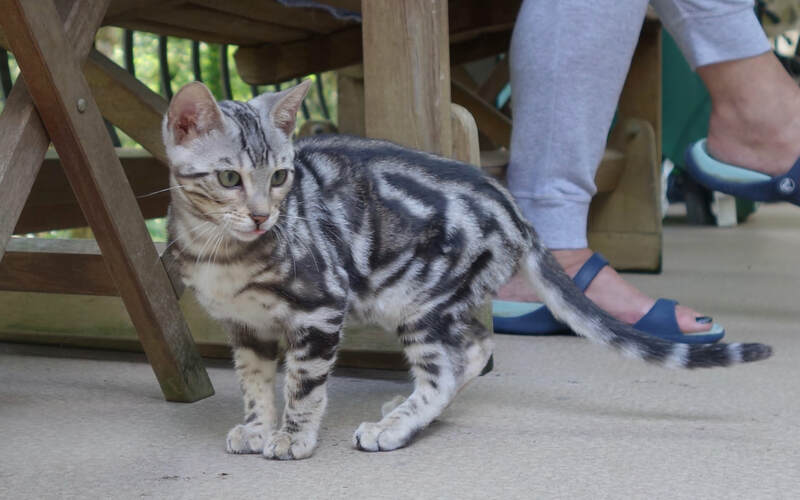 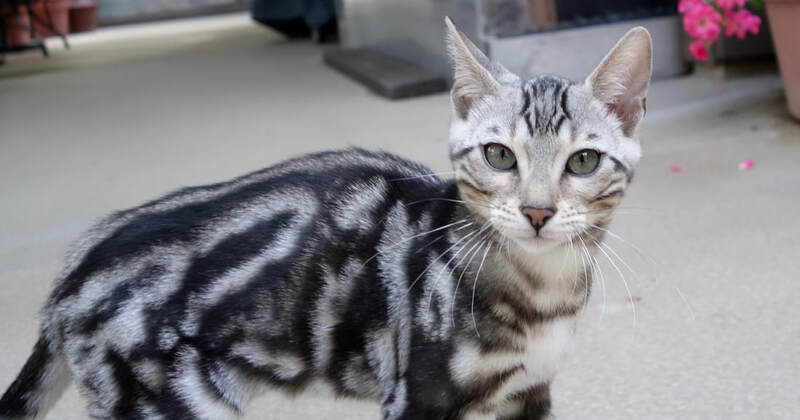 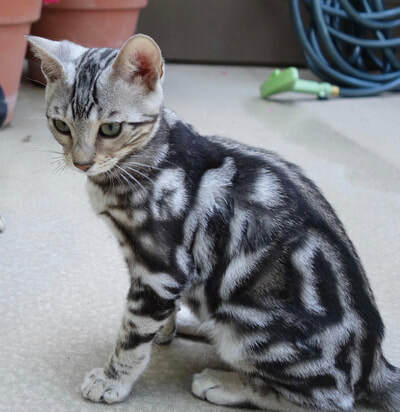 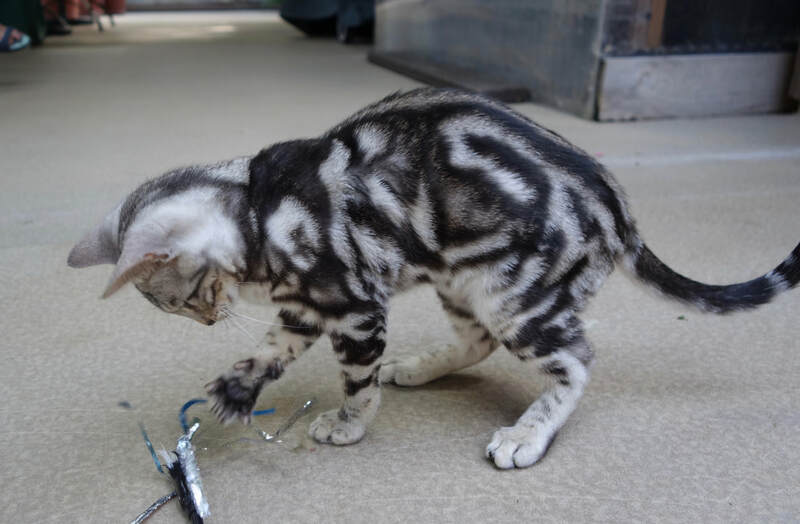 Peris was shown as a kitten in both TICA and CFA, she behaved well and provided both Judges and spectators with a very nice example of a marble Bengal. 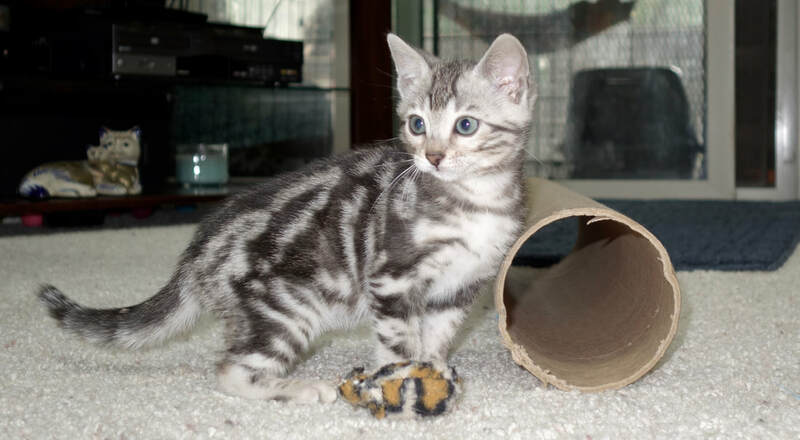 We're hoping for some lovely kittens from Peris in the Summer of 2018.